Referee shirt for men. Long sleeves. Sleeve cuffs. Distinctive shirt-collar with zipper. Chest pocket with Velcro closure to insert cards or badges. Cut and sew with contrasting inlaids. Normal fit. Two-colour. Breathable mesh inlaids in the armpit area. 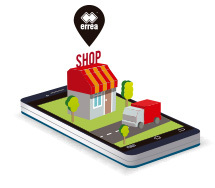 This referee jersey by Erreà is a lightweight, comfortable yet resistant garment, provided with practical pockets to hold all the gadgets or cards. 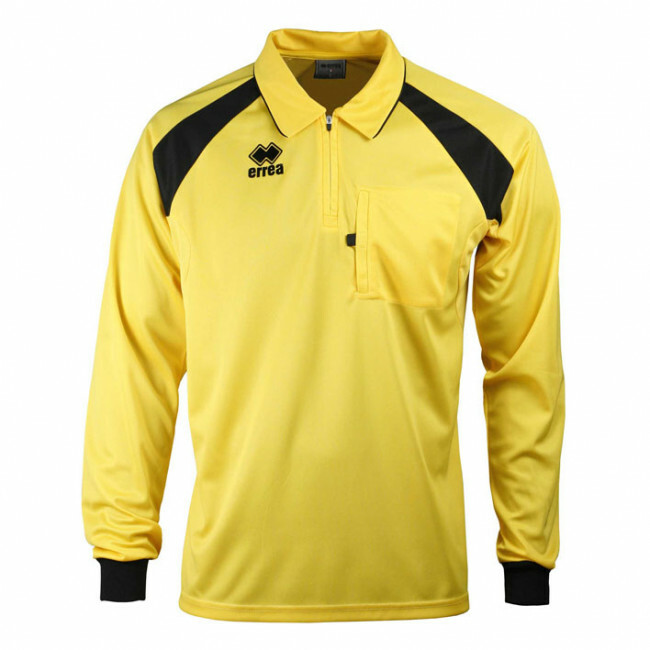 Its shirt collar and the zipper make this shirt an essential garment for any referee wanting to feel authoritative and elegant when on the pitch. The contrasting inlaids give this classic garment a modern look. The long sleeves make this the ideal top for winter and the mesh fabric undersleeve provides perfect breathability when you need it most.